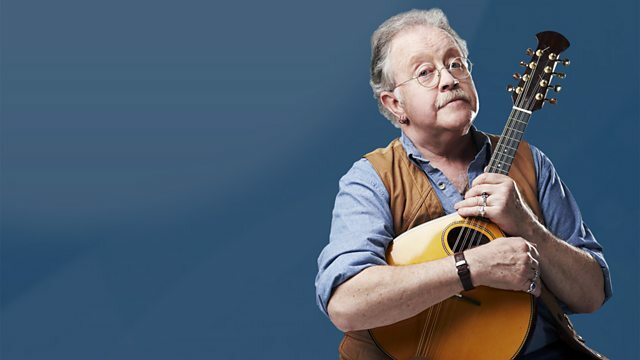 Mike Harding presents an hour of the very best in folk, roots and acoustic music, including a chat with the Oysterband's John Jones, who is undertaking a tour on foot this week. In his latest walking tour, John is hiking around the Pennine spine of England, playing gigs in the Peak District venues that he passes. It's the third such tour that John has done, and he tells Mike Harding why he does it, how it works, and why this particular journey will be a kind of homecoming. Liege & Lief: Deluxe Edition. There Are Birds In My Garden. Roues et Archets RA 015. Green Linnet GL CD 1105. Black & White: The Definite Collection. Cooking Vinyl COOK CD 038.